When Shadow Moon enters the employ of the mysterious Mr. Wednesday in the television adaptation of Neil Gaiman's American Gods, a new world unfolds. They seal the deal in the Crocodile Bar, drinking three shots: one is the charm, one is the compact, one is the seal. 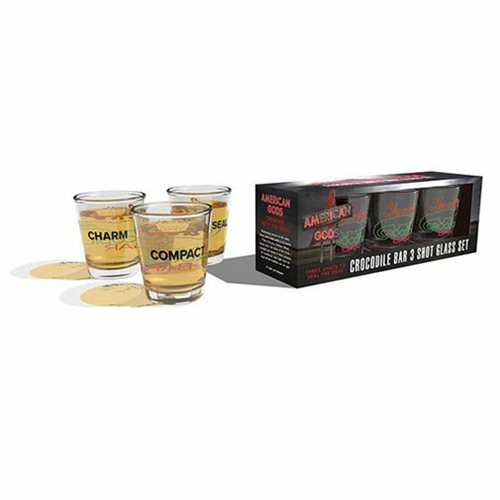 You can try this at home with a three-pack of custom shot glasses. Packaged in a full-color box with a photo of the scene and explanation of the deal.